What a great metaphor! 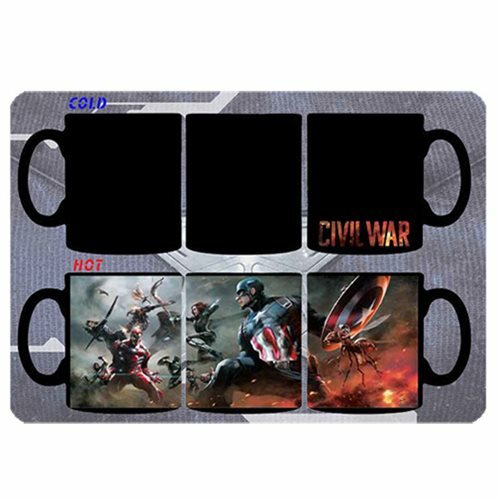 This Captain America: Civil War Battle 11 oz. Heat Change Mug is black when cold, with just the Civil War logo, but add hot liquid and an amazing scene shows up of Marvel superheroes fighting each other! Mug holds up to 11 ounces of liquid. Hand wash only. Not dishwasher safe. Do not microwave.